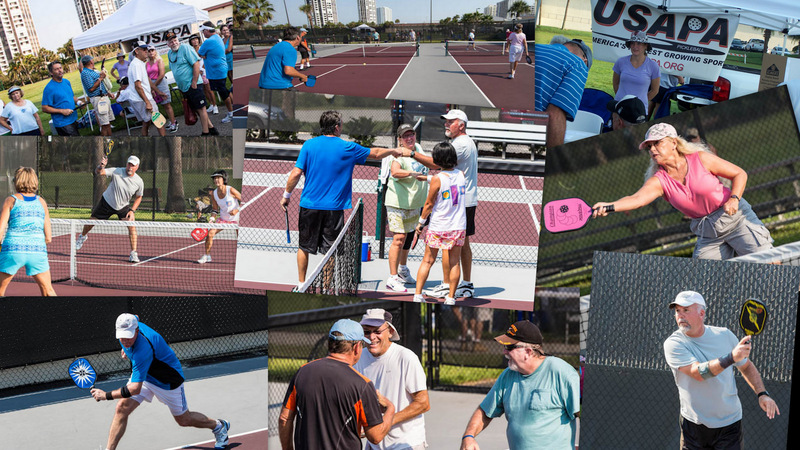 Daytona Beach Shores had there first and very successful Pickleball Tournament on Saturday June 30th. We started small with Volusia County residents age 50 and over as participants. We had 30 players and lots and lots of fun. 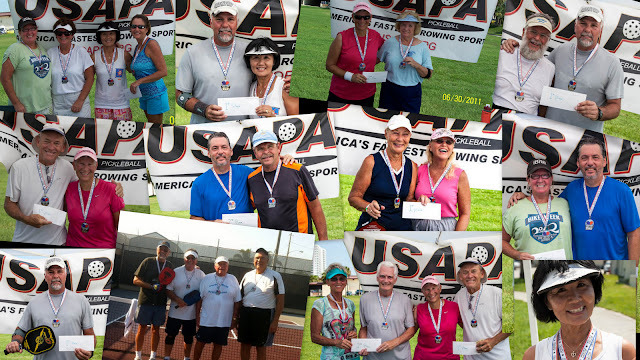 There were first and second place winners in singles, doubles and mixed doubles competition, happily accepting medals and envelopes with cash prizes.... and more will be planned in the near future. The Daytona News Journal was on hand for the big event as well as our Mayor and several members of city council. Below - some pictures of the happy, smiling winners! Click Here for all the tournament champions! I will be in the area and would like to play. Is this possible? I will be in Daytona Beach from 6/18 thru 6/24. Is it possible to game a game in?